Rock That Gem Extras - Find out which software and tools I use for my business and get some great coupon codes! Squarespace, Etsy, Craftybase, and more! Rock That Gem is the second business I have launched, all within the past five years! Being the owner of two businesses means I have clocked in countless hours doing all the things it takes to create a business -- web design and coding, writing copy, photography and editing, accounting... you get the drift! Over the years I have figured out what works for me and what doesn't, and I am always learning. If you are thinking of starting your own business let me be the first to say congrats! Having a great idea is the first step, and although it may take time and effort it is so rewarding to see your business grow and flourish. To help all you new (and established) entrepreneurs succeed I thought it would be fun to offer this page of software and tools that I find extremely helpful in running a business. Some even offer perks and discounts for signing up with the links below. Check them out, and if you decide to use one I would love to hear how it goes! You can always email me at molly@rockthatgem.com. After using Wordpress for my first business' website I decided to try Squarespace for Rock That Gem after a web developer friend suggested it. The idea of using a service that did a lot of the behind-the-scenes work for me, like formatting and coding, seemed like a dream! Their system also makes things easily customizable in a simple and visual way. 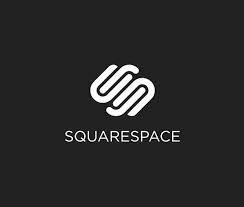 Plus Squarespace offers 24/7 customer service, with a super speedy response time for paid customers. It has been an absolute pleasure creating this site using their service. Every time I go to create a new section and think, there's no way they'll offer this specific functionality, they do! I have also had many conversations with their customer service team and am always impressed with their knowledge and understanding of how to make things work for what I need on the site. If you are thinking of starting up a website I highly recommend them. Also, if you haven't purchased the domain name for your new business, you get a free domain with your paid subscription. One less expense! Speaking of saving money, they post all of their coupon codes directly to their site here so you don't have to search third-party sites for coupons. The standard coupon is usually 10% off an annual plan. Enjoy! You have a website, your Etsy Shop is up, your inventory is managed. But when you meet a new person and tell them all about your exciting business they ask you for your business card and you realize you don't have any. Don't forget this important step! I have used several printing companies in the past and so far UPrinting is my favorite. They offer you multiple options for designing online or uploading your files, and they offer free proofs where their designers double check your work to make sure it will print well. Their prices are really excellent, and because it costs them less to print in larger quantities it usually costs you only $2 to upgrade from a 500 item printing to a 1,000 item printing. Double the cards for $2! I have used them for business cards as well as postcards and flyers and their quality is excellent. They offer all kinds of printing services, so make sure to check out their full list of products. They also make sure to list all their current coupon codes and promotions on this page so you don't have to search third party sites for coupons. Enjoy!